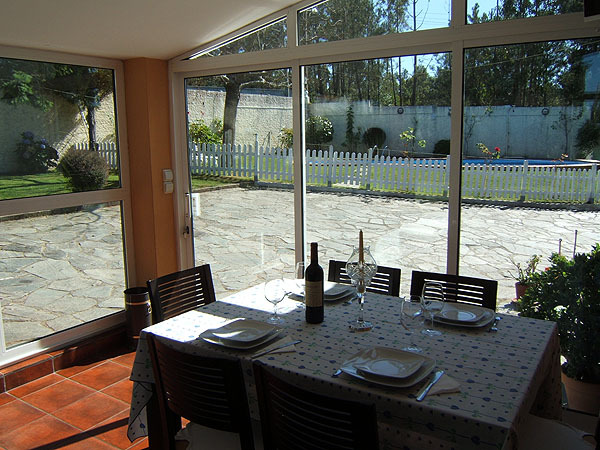 This is a large and comfortable villa, with a mature garden and pool ( 10 x 5 m, in working order from Jun to Sep), barbecue and launge room overlooking the pool. 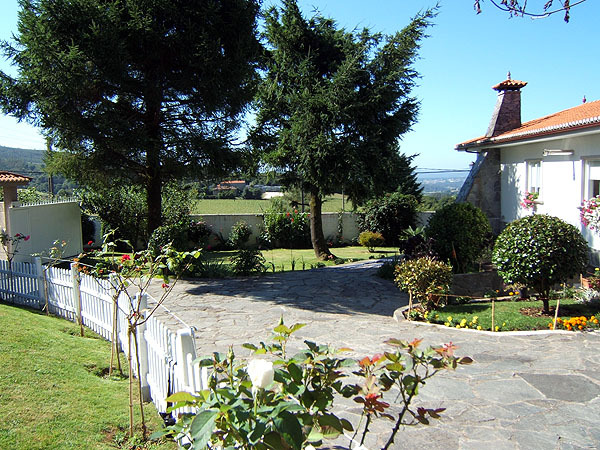 It is located at 6 Km from Santiago, in a very nice area, and about 6 Km. from the airport. 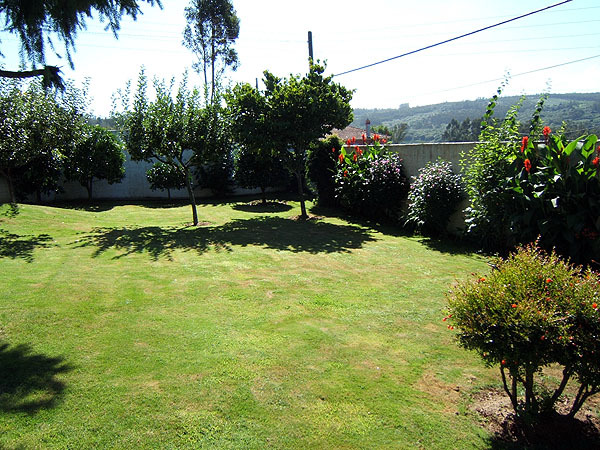 The 'Camino de Santiago' or pilgrims way passes a few hundred meters from the house. 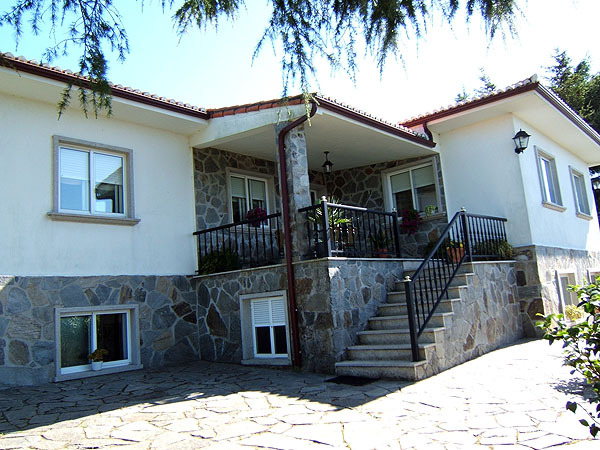 In one side of the house there are three double bedrooms, one twin bedroom (suitable mainly for children) and two bathrooms. 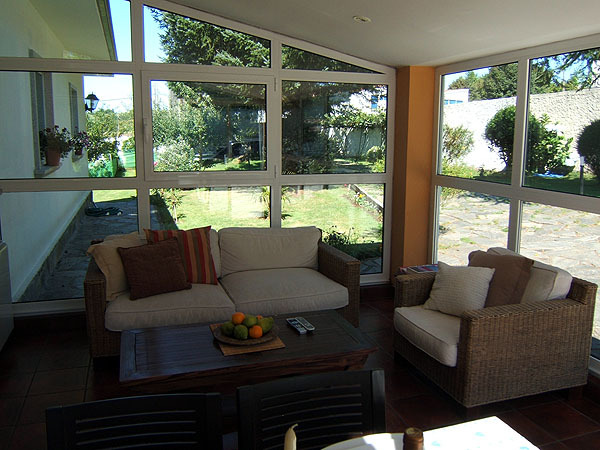 To the other side, a large living-dining room, an spacious kitchen, a toilet and a launge room connected to the kitchen and leaning to the back garden. 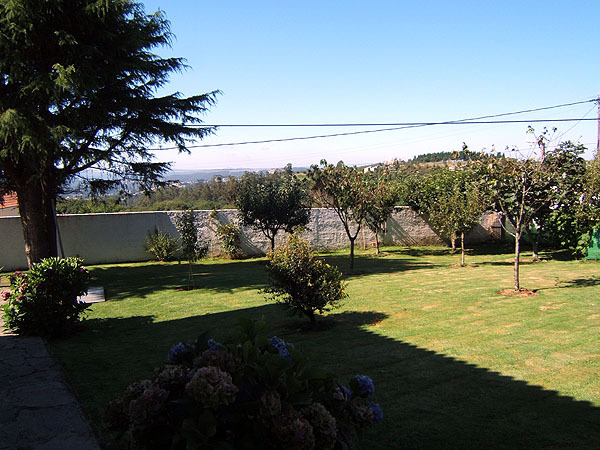 The garden, fully enclosed for privacy, has fruit trees, plenty of shade, and an orchard which will provide for many vegetables that owner will be happy to give as a present. There is the possibility of hiring a local cleaning lady (she works for owners since many years ago) for a few hours in the evening, at a rate of 9 €/hour. The small town of San Marcos is at walking distance from the house (less than 1 Km), where you have several well known restaurants. View of the house from the pool. 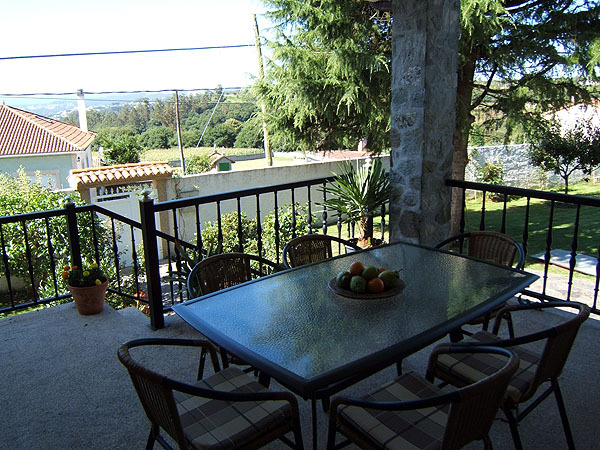 Prices are per week in euros for up to 8 people. Booking deposit: 40% of total rental price. Saturday is the change over day. Ask for other possibilities. Christmas and Easter week are charged at high season rates.